Logitech G403 Review | Best Palm Grip Gaming Mouse? On Black Friday this thing was only $35 bucks so I figured I’d go ahead and pick it up. A lot of people compare this with the G Pro so I figured I’d give it a try myself and see which one I like better. At first I thought the G403 was just a mainstream version of the G Pro but the more I used it, the more I realized just how many differences there were between the two. As you can see the G403 has an ergonomic, right-handed shape which should be safe for most people. If you take a look at it from the side you’ll notice it’s got a high back with a downward slope towards the front of the mouse making it primarily suited for palm grip users although some people with bigger hands may be able to claw grip it. I’m not sure if I’ve ever told you guys my hand size but it measures roughly 19.6cm and if I put my palm all the way on the mouse my fingertips extend just barely past the main buttons. The #Logitech G403 has these huge side buttons which I’m a big fan of because they’re easy to reach regardless of how you hold the mouse. They’re a total night and day difference compared to the tiny ones on the G Pro. 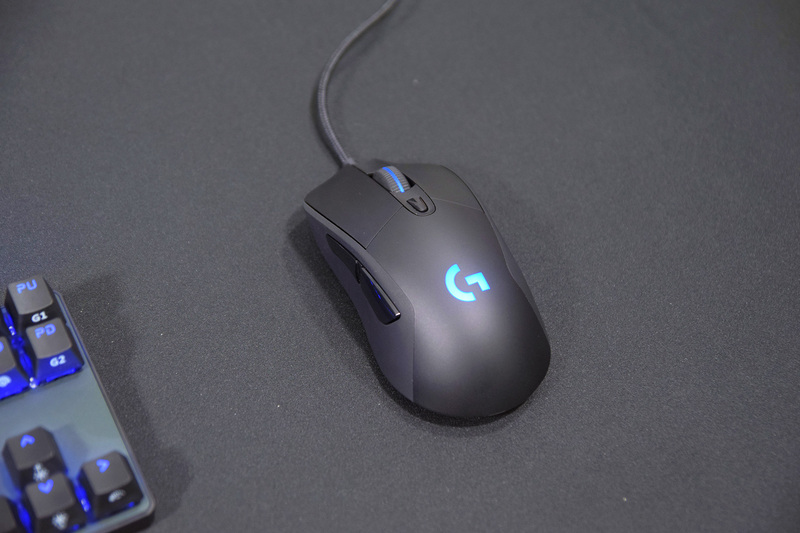 The main buttons aren’t bad either, they use Omron switches which I thought were the same ones used in the G Pro however whereas the G Pro had firm, crisp clicks this mouse has a lighter more traditional feel. I’ve read reports online about different feeling main buttons even between the same model mice so I’m not sure if it’s a manufacturing variant or different switches altogether but I prefer the crispier clicks on my G Pro. 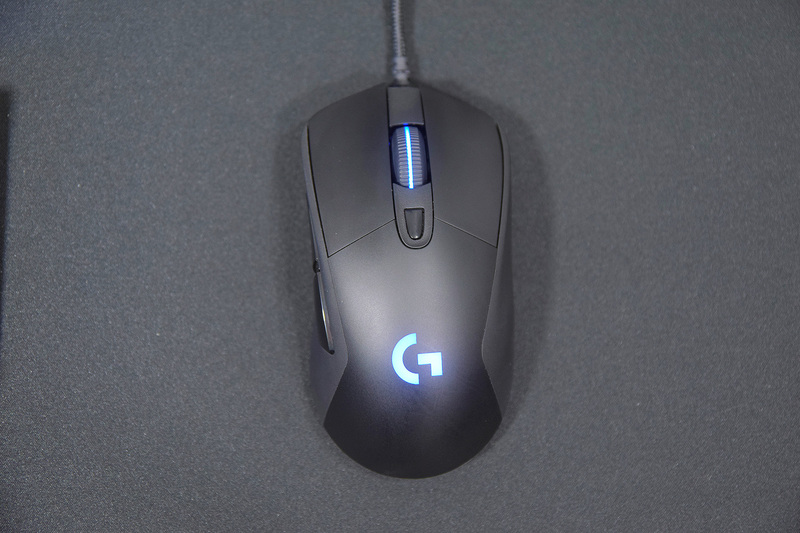 With the G403 you also get a rubberized, stepped scroll wheel which is just a little bit stiff if that matters to you, a DPI sensitivity button, rubber coating on the sides to help grip the mouse which is much nicer to hold than hard plastic and of course the super important RGB lighting. Weight-wise this mouse is coming in at just over 87g which is a plus in my book although Logitech includes a 10g weight that you can insert into the rear of the mouse for a slightly heavier feel. Personally I find the weight to be perfect and well distributed as is so I have no intention of ever installing that thing. If we flip the mouse over you can see the two skinny mouse feet which glide just fine for me along with the infamous PMW3366 optical sensor. I’ve talked about the 3366 and 3360 in the past and to keep it short, this is the most responsive, best feeling sensor I’ve used up until this point. In running a few tests there was no noticeable jitter or prediction, the DPI steps seemed on point and the sensor felt accurate. As the gameplay shows, my pro career is just around the corner. As far as the software customization goes, it’s the same univeral software that you see with all Logitech gaming products. It will allow you to re-assign buttons, change your DPI sensitivity in steps of 50 and select a polling rate. You also have the option to play with the RGB lighting or disable it and perform a surface calibration which I assume fine tunes your lift off distance to the surface you’re using. By the way, I found the lift off distance to be about 1 CD high on the default preset. All in all the software is pretty simple and intuitive so no complaints from me there. So to kinda wrap this all up guys, I do like the G403. It’s got a nice safe shape, it’s lightweight and I like the large side buttons but I’m goin back to the G Pro. 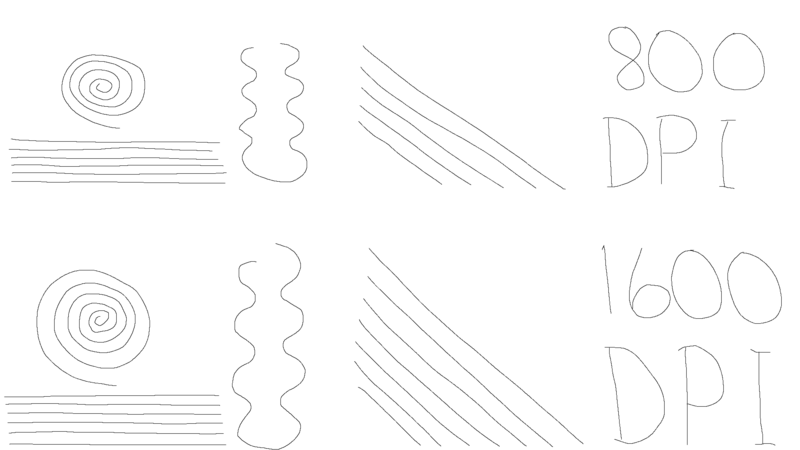 And the reason is simple, the shape. I’m more of a claw grip, sometimes fingertip grip user and I prefer the smaller size and ambidextrous shape of the G Pro compared to the G403. If you’re on the fence about which one of these to select, I’d lean towards the G403 for palm grip and the G Pro for claw grip and fingertip grip. So that’s about it guys, like the video if you like this type of content. If you made it this far into the video, comment G Pro or G403 down below. I’m probably gonna slow down on the peripheral reviews this year and just focus on the bigger PC products if I can so make sure you subscribe if you wanna see that. And yeah, I’m outta here guys…until next time, see ya!